Home Sales UP at the High End! If you’ve been watching and waiting for the market to show signs of sale improvements, look no further! For the longest time, lower price ranges (homes under $200,000) showed the biggest sales increase and shortest days on market. More recently, however, the pendulum has swung towards an increase in sales for homes above $400,000. In addition, sales of homes under $200,000 have actually decreased! Overall, market trends are showing more buyers purchasing homes in higher price ranges. According to the Virginia Home Sales Report, this could suggest several things. Higher prices could reflect ‘boomerang buyers’ (people who can afford larger homes yet avoided the market during its recent downturn) re-entering the market and now choosing to purchase new homes. Or, it could reflect people looking to upgrade to ‘bigger and better’ as the economy continues to recover. Keep in mind that although overall sales and sale prices have increase, real estate inventory is low. 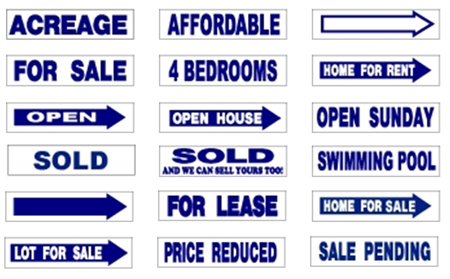 So if you’re on the verge of deciding to sell or not, consider the fact that less competition can mean a quicker sale!